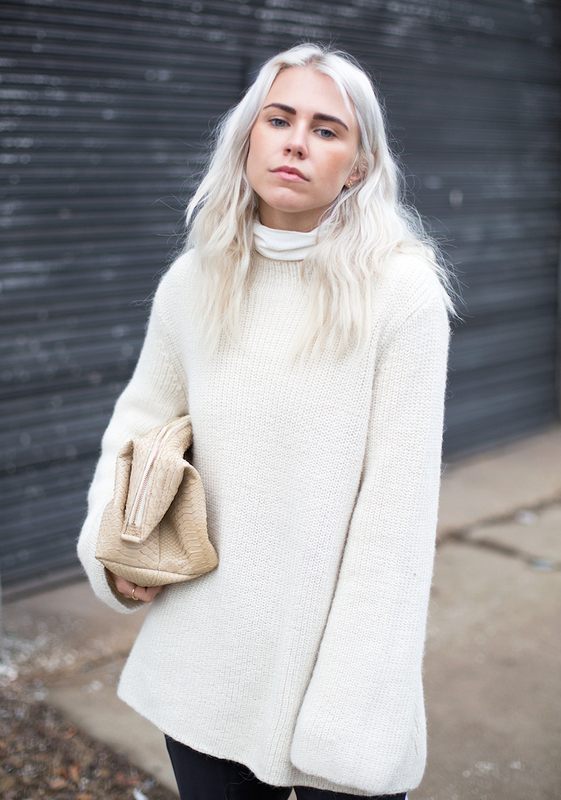 With a name like “Always Judging,” it’s hard to warm up to fashion blogger, Courtney Trop. Words that come to mind are snobby, cliquey, esoteric – but she is none of those things. What she is, though, is effortlessly cool. Let me just get down on my knees and praise her bleach blonde hair for a moment here because we certainly aren’t worthy. Her photographs are amazing, too, so shoutouts to her beautographer, which she presumably has just like any other good little blogger myself indelibly included. But what I truly love and will slavishly copy if I can ever get my act together on this thing is a STYLE FILE section dedicated to a variety of themed inspirations like gold glitter and models posing with coffee cups. Swoon. Lest I mention, her and I were both featured in The Booklet together as the “Best Instagrams to Follow for Fashion Inspiration” with many other of my style icons. This was certainly a highlight for me in 2014. The instagram account in the Booklet is fake (justineiaboni), and the instagram listed in you blog has no posts (justineiaboni_). Are either of these correct? As one of the “Best Instagrams to Follow for Fashion Inspiration” I’d expect there would be some posts! Just so you know; the instagram link above your subscribe button is incorrect. Somehow I’d missed the huge instagram section at the bottom of each of your posts. Duh!